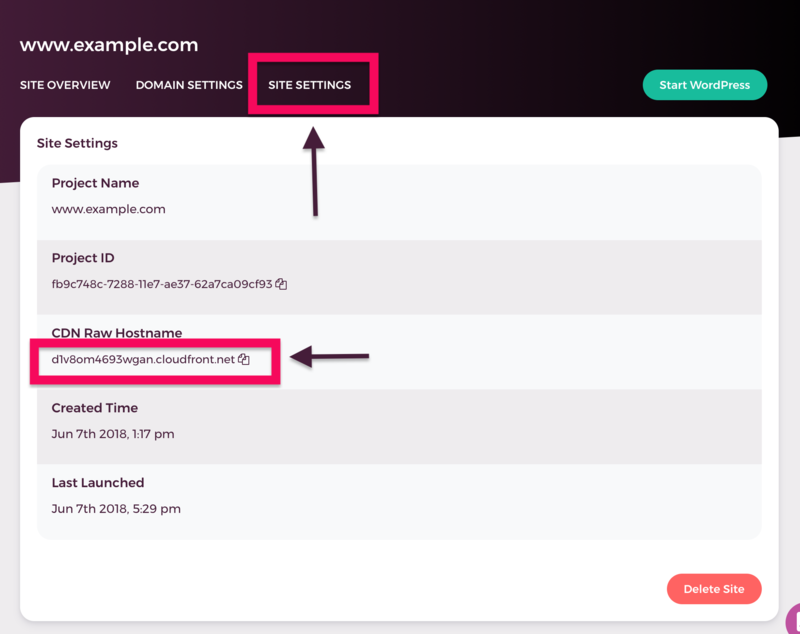 Input or select the value of CDN raw Hostname (e.g. d2j25tdvm5ygpb.cloudfront.net ) -- provided on Shifter's Dashboard -- into Alias Target which will be displayed under No Targets Available under CloudFront Distributions on Route 53 console. Then paste it to Alias Target and save changes.